I can picture a modern day Sherlock Holmes sitting comfortably in his study, smoking his pipe, and solving mysteries with nothing more than a computer and a wifi connection. With access to all the information available on social media, chances are solving mysteries would be a little too easy for the great Sherlock Holmes. Social media now makes it easier than ever for people to voice their opinion and share information about, well, anything. Whether it is their thoughts on a new TV show, what their favorite restaurant is or a poor experience they had, people are now sharing their thoughts and experiences with each other at an astonishing rate. As a business, this can be a good or a bad thing. What determines it is if your company is listening and how you are responding. One thing is clear, the most successful companies on social media are doing more listening (monitoring) than they are posting. 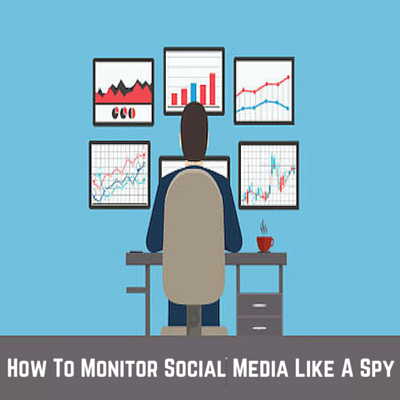 Social media monitoring, also called ‘social media listening,’ is when companies actively use social media to gather information about industry trends, customer needs, competitor actions and much more. This typically requires companies to keep a constant eye on several different social networks. When done well, companies can learn valuable information that will help shape their business strategy, delight their customers and ultimately aid in their success. Thought leadership is one of the hottest buzzwords in the marketing industry. Defined simply, thought leaders are the go-to people for information pertaining to a certain subject matter. For example, if you need information about search engine optimization, Rand Fishkin is the guy to reach out to. He has positioned himself as an expert over the years by participating in conversations and helping people solve their problems, amongst other things. I am sure you can imagine, being the go-to person for any subject can be lucrative. Your goal should be to position your business as the go-to resource for information about your industry or niche. You can accomplish this by creating content and engaging in conversations. Monitoring social media plays a major role in this process. After all, how can you solve people’s problems if you do not know what they are struggling to understand? Monitor social media to get ideas for potential content topics, as well as to engage in conversations where you can show off your expertise and build trust. If you haven’t noticed, the world is moving pretty fast now days. Not to long ago, a company by the name of Blockbuster was ruling the movie rental industry. Content with their position at the top, Blockbuster was blind to the emerging trends and pain-points within their industry. I am sure we all know the result, they went out of business in record time. Let’s all hope this never happens to your business. Just to make sure, you should use social media as a legitimate way to monitor where the world is headed. With over 1.5 billion people on social media, it does represent a legitimate sample of the world as a whole. Though this type of monitoring won’t require much action, over time you will begin to see trends forming and new pain-points emerging. The key to sales is finding a pain-point that potential customers have and then showing them how your product or service can solve or alleviate it. Most sales professionals agree that is is much easier to close a sale when their is a clear pain-point that they can focus on. Through social listening, companies can gain a better understanding of what pain-points customers have and tailor their messaging accordingly. For example, if we see someone upset that one of our competitor’s tool does not support Pinterest, we can reach out to them to make them aware that our tool does. Knowing their pain-point is not being able to manage their Pinterest from the same tool as their other social networks, we are able to target that specifically and immediately solve their problem. This increases our conversion rate exponentially. The information you gather through social listening is a gold mine for your sales team. Make sure you regularly share with them what you are learning, as well as potential leads and their pain-points. We all know the feeling of having so much work and not enough time. It seems like no matter how early you get to the office, or how late you leave, there is always more work to be done. One way your business can lower the workload is by creating a dedicated page for frequently asked questions. This page will give customers a place to go to find answers to their questions and will greatly decrease the amount of time spent responding to customers’ questions. A great way to ensure your FAQ page includes the necessary answers is by monitoring what is being asked on social media. Keep track of questions you were asked and questions that your competitors were asked. At least once a month update your FAQ with these new questions and answers. On top of saving you time, a great FAQ page also improves customer retention and builds trust. Companies that monitor social media and engage in relevant conversations are able to foresee and act proactively when one of the scenarios above begins to happen. Take advantage of the access you have to consumers opinions and leverage them to your advantage. Act proactively to improve your business to align with what the market wants or needs. Oh, and if you don’t, chance are your competitors will. How do we produce viral content? Almost every business on social media has asked this question before. It is hard to not be jealous of the blog post that gets shared 100,000 times or the video that gets millions of views. Unfortunately we do not have a magic formula for writing viral content, but what we do have is a way to greatly improve your chances. By monitoring what type of content is being shared, you can improve your chances of going viral. For example, Facebook has made a serious push towards becoming the go-to place for video, competing directly with YouTube. About a year ago, through the use of monitoring, we realized that videos were by far the most shared type of content. Noticing this, we began to share significantly more videos on our Facebook Page. The result? Significantly more reach, engagement and conversions. Now that we know what social media listening is and what the benefits are, it is time to discuss how to do it effectively. The best way to monitor social media is to use the search capabilities built into the social networks you use. Unfortunately, sifting through comments and tweets from over 25% of the world is impossible. Luckily there are several ways to narrow down your search results to make them manageable. Positive: By searching for positive sentiment, we can find people happy about a specific thing. This is a great way to see what people enjoy about your business or a competitor’s. Negative: Imagine having access to all the people that are currently mad at one of your competitors? Talk about a gold mine! By monitoring for negative posts about your industry or competitors, you can find extremely valuable information. Question: We monitor questions very heavily, because questions encourage engagement. Monitoring questions and answering them is a perfect way to position your business as an expert. Tip: To add sentiment to your search, go into Advanced Search and choose which sentiment you would like to include. Is your business local? If so, you need to focus on monitoring the area your customers live in. For example, a pizza restaurant could monitor people talking about pizza delivery or being hungry in general. The restaurant could consider reaching out to these people to make their business known, as well as offer them some sort of deal. Even if your business is small and/or local, social media is still a gold mine of opportunities. The final way to improve the quality of your search results is to exclude popular, but irrelevant words from your search. For example, a pizza restaurant that does not offer delivery would want to consider excluding the word ‘delivery’ from their search results. By doing this, they wouldn’t have to sift through all the posts discussing delivery, which they do not offer. Through experimentation you will find what search terms result in the highest quality of information. Test different search terms, as well as different social networks to figure out what works most effectively. Tip: Create Twitter Lists to make it easier to monitor competitors, industry news, influencers, etc. We are finally ready to start monitoring social media. The only question left to answer is, what should we monitor? If you can only monitor one thing, it should be people talking about your business. These are current or potential customers and their opinion directly relates to your businesses success. When people tag you business in a post, you will receive a notification. This makes listening and responding easily. The problem is, many businesses stop there. What happens if someone does not tag your business when they share their thoughts? To make sure you do not miss these posts, make sure to also monitor your business’s name without ‘@’ included. Twenty years ago businesses would have never imagined the type of access to competitor information that is now available, thanks in large part to social media. Imagine having the ability to see conversations between your competitors and their customers. When used properly, social media can do just that. To make it easier to find relevant conversations, be sure to include sentiment such as: positive, negative and asking a question. It is easy to be so focused on finding new customers that you forget about your current customers. Make sure you monitor what your current customers are saying about your company, both positive and negative. If a current customer shares something positive about your business, you want to see it. Through monitoring, you will be able to share it with your followers and thank the customer for posting it. Taking care of your customers will help to turn them into brand advocates. Remember, happy customers are the best marketers. Hashtags were first invented in 2007 by Twitter user Chris Messina. He asked his followers what they thought about using them to group together related posts and encourage community conversations. Though the idea was first met with resistance, especially from Twitter, hashtags are now the standard for nearly every social network. Monitoring hashtags is extremely powerful, because they already group together related information, making it easy for your business to consume it. Monitor hashtags that are related to your business specifically (brand hashtags), as well as your industry as a whole. Tip: Also monitor hashtags related to your competitors (their brand hashtags). This gives you access to conversations related to their product/service. Influencer marketing is growing at an alarming rate thanks to social media. Influencers are people that have the ability to impact someone else’s decision. For example, a nod of approval from a trusted movie critic might be all it takes for you to decide to watch a movie. Smart businesses are now partnering up with these influencers to take advantage of their leverage and the trust they have built. Long before you ever reach out to an influencer you should begin monitoring them. This will allow you to better understand them and their audience. Keep an eye on the types of questions they are being asked, the topics they create content about and what they have done/are doing to build trust with their audience. To make it easier for our customers to monitor social media, we created Custom Search Feeds. The search feeds are saved and refreshed automatically, making it easy to monitor several different topics at once. Using the advice mentioned above, you can easily set up several Custom Feeds that will help you monitor social media and grow your business. Sorry for the late response! To get access to our tool, just visit eclincher.com and sign up for a free trial. Hmm it seems like your site ate my first comment (it was super long) so I guess I’ll just sum it up what I had written and say, I’m thoroughly enjoying your blog. I as well am an aspiring blog writer but I’m still new to the whole thing. Do you have any suggestions for first-time blog writers? I’d definitely appreciate it. Sorry to hear about that! So glad that you are enjoying our blog. The biggest recommendation we would have is to be consistent. What we mean by this is that you need to figure out how often you can post a blog and then stick to it. If it is only 1 post per month, then stick to that. If it is 2 posts per week, stick to that. The biggest mistake new bloggers make is that they start off writing very frequently, but soon burn out and either post sporadically or give up all-together. The right frequency is what you can handle long term, not what anyone else is doing! Do this help? We would be more than happy to discuss more with you as well. If you are interested, just let us know.